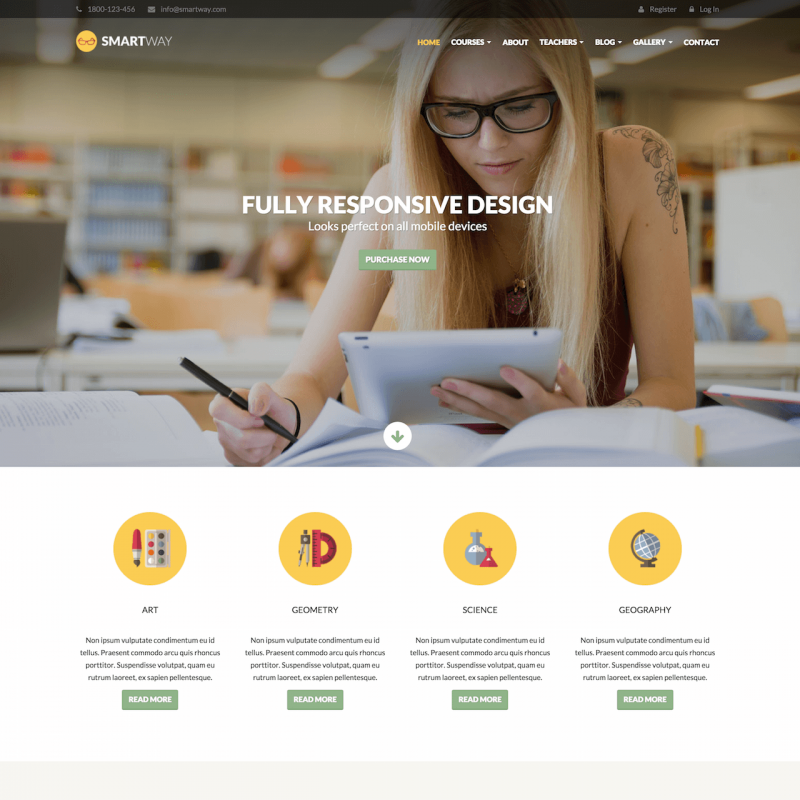 Smartway is a premium WordPress theme. You may translate it to your language with Poedit translations editor. 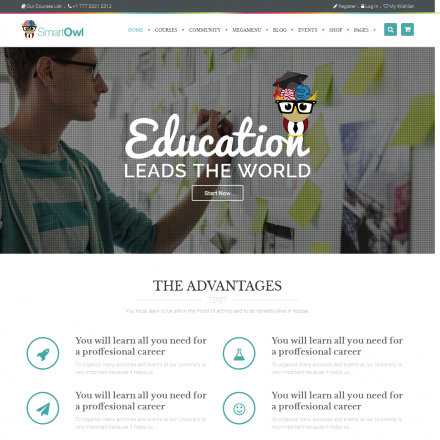 With all it structure and visual appearance, the Smartway Theme is a specially designed theme for educational companies. 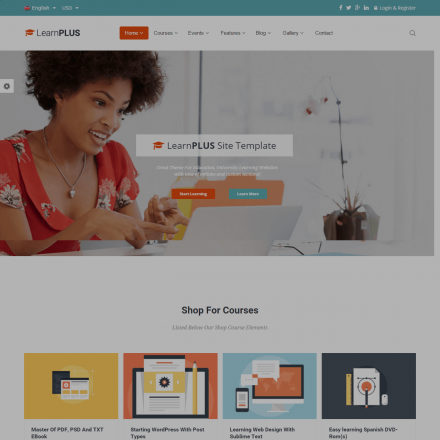 It allows you to represent and sell different courses and learning materials over the web. It is not only a beautiful product site, Smartway can become a good point to manage up online all the learning process and materials. With the integrated support of Namaste! LMS learning plugin you can organize your staff management and achievement system for your students. Define an access for different customers groups and assign different test completeness markers. Set up course and lesson pages with the required visual style and multimedia content. Present your teachers in the best way at the personal web pages with implementation of modern web-technologies. Full-screen slider layout appears great on the screens of any mobile or tablets devices. Place your main slogans on the constantly rotating panel. Use a toolbar to provide your visitors with contact information and login options. Create an animated loop sequence for better presentation of your main courses. Smartway allows to add any banners with discounts or actual educational purposes or provide your customers with a list of reviews or recommendations. Also, you can set up a news feed with the latest posts or newsletter subscription.